That first snowfall of winter is a magical time in Northern Michigan. Fall is winding down and everyone is in anticipation of those first flakes. 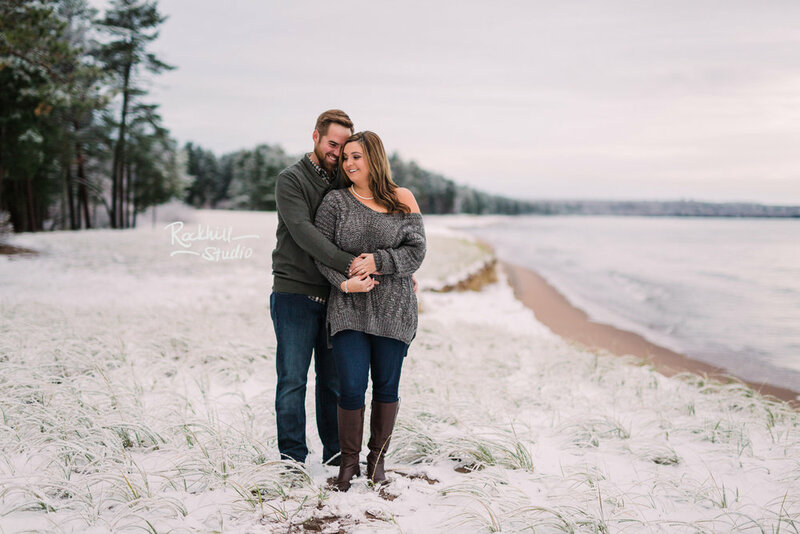 It's the *perfect* time for an engagement session as true cold temperatures haven't settled into winter yet, the snows aren't deep (mostly!) and there's no better reason to cuddle a little closer. 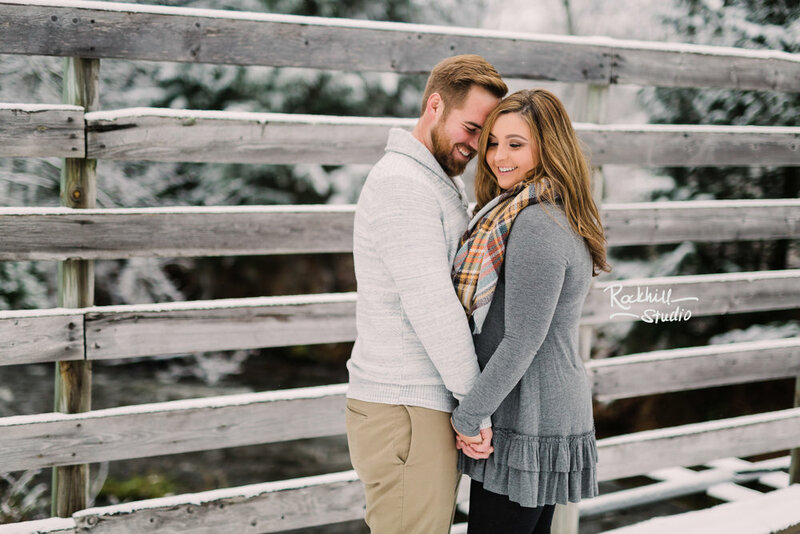 We shot just about one year to the date of Michelle and Josh's wedding...the couple came all the way from Texas for their session and I cannot wait to head down south for their wedding later this year!